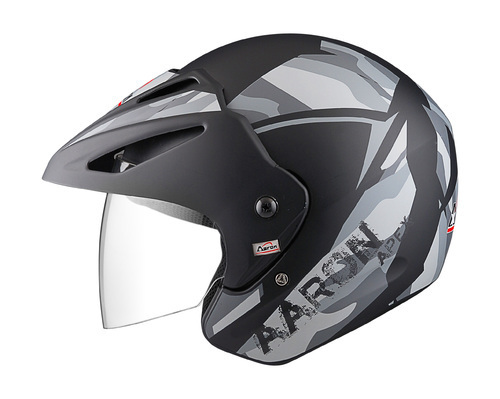 With an experience of more than eleven years, Aaron Helmets Pvt. Ltd., Dwarka has established a reputation of providing high quality Riders Safety Products such as Helmet, Racing Helmet, Twister Decor Face Helmet, Apex Warrior Decor Helmet, ISI Mark Helmet, Full Face Helmet, Cruz Plain Helmet, Vintage Decor Helmet, Apex Warrior Plain Helmet, Ace Helmet, Hybrid Helmet, Rainbow Visors Helmet and Jet Flyer Helmet and numerous other products at viable prices. Our just and fair business practices has given us an edge over others in the competitive market. Aaron Helmets Pvt. Ltd., Dwarka has been acknowledged for its quality products. We have the latest machinery, which helps us to work adeptly and provide an immaculate range of products to the clients. Our products are backed by extremely adept team of professionals who keep themselves updated with the latest technology and market trends. The products manufactured are in accordance with the clients preferences and specifications. We majorly deal in Nepal, Bangladesh, south Africa, Phillippines.